A top U.S. diplomat said has said she is optimistic that the U.S. and Cuba could open embassies before the Summit of the Americas slated for April 10-11, Xinhua News Agency reported. Talking to reporters in Washington, U.S. Assistant Secretary for Western Hemisphere, Roberta Jacobson made the remarks following the second round of talks between Washington and Havana to re-establish diplomatic relations. 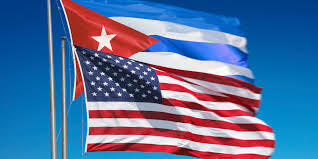 Josefina Vidal, head of the Cuban foreign ministry’s U.S. division, told reporters that progress had been made in the talks, but added that differences remained. “Friday’s talks continue the dialogue initiated by the two sides on Jan. 22 in Cuban capital Havana and are a key step in implementing the new U.S. policy toward Cuba announced by President Barack Obama in December last year,” Xinhua report adds.